At least 13 people, including women and minors, were killed in a road accident in the Pakistani eastern province of Punjab, local media reported Sunday. MOSCOW (Sputnik) – According to the Dunya News media outlet, a passenger van caught fire after collision with a truck and hitting a gas pipeline after that in Punjab's town of Hassan Abdal. 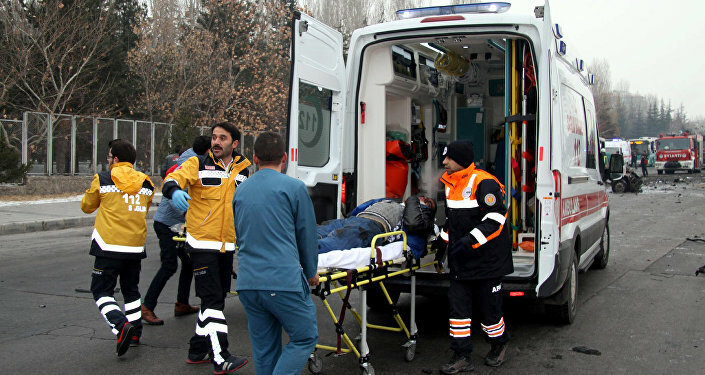 The rescue teams that have arrived to the scene have already transported the people injured in the accident to local hospitals, the news outlet added. The media outlet added that it was not the only deadly accident on Sunday, as at least four people were killed in collision between a truck and tractor trolley that took place in Pakistan's southeastern Sindh province.